A photography exhibition of images taken from the roof of Manchester Cathedral has been backed by the Joint Venture behind the Embankment scheme. Robert Watson has spent the past five years climbing the Victorian tower of the 15th century cathedral to document the ever-changing face of the city. 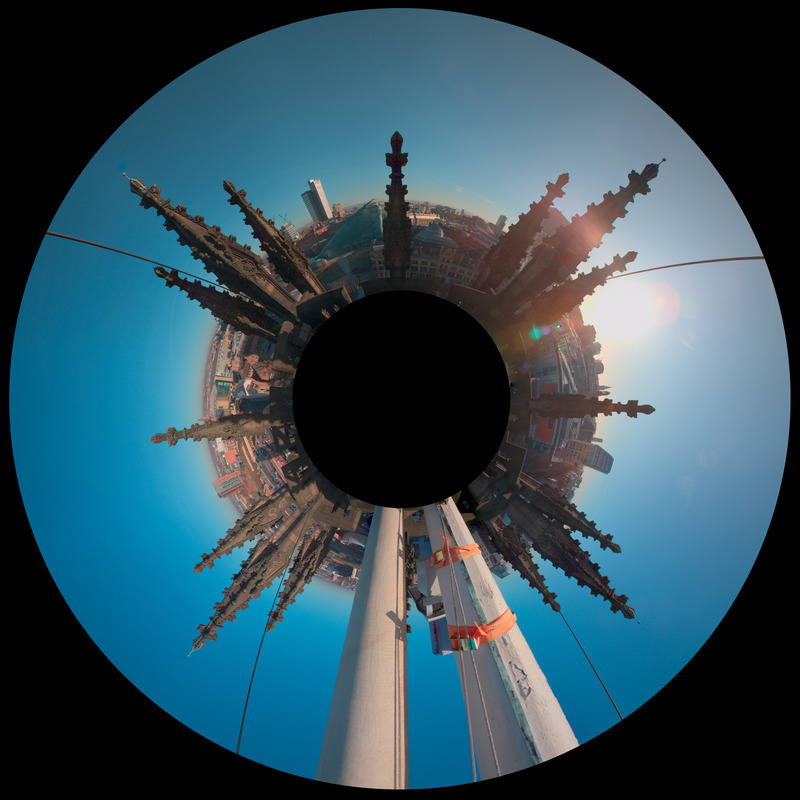 From the vantage point he recorded time-lapse images of the Embankment development taking shape on the site of the former Victoria Bus Station, on behalf of Manchester property developer, Ask Real Estate, in partnership with Carillion and Tristan Capital Partners. He also took shots of the shifting weather, which all form part of an exhibition entitled 360/365/MCR, which will open next month in Manchester Cathedral’s Regimental Chapel. Robert, who is inspired by German photographer Michael Ruetz, said he encountered all sorts during his many visits to the top of Manchester Cathedral, including honey-producing bees. “It’s not that comfortable a climb up the old staircase to the roof of the Cathedral, so you don’t want to come down in a hurry,” said Robert, who has since established a new company called Timescape Systems. He added: “Each image is formed from a manual process; taking 18 shots to create a seamless image in 360 degrees, so not a quick or easy photograph to create and there are 20 in the exhibition. Ask Real Estate Managing Director John Hughes said: “We are delighted to have supported Robert Watson’s exhibition. The photographs provide a fascinating insight to how Manchester has changed over the past five years. It is FREE for the public to view during normal Manchester Cathedral visiting hours, subject to times of religious services, and limited edition prints of each of the photographs on display will be available to buy.